Oh man, I love those things! The cherry ones are great. I now take a bunch of 'em with me whenever I'm traveling. I was gonna say wow those look like nutrigrain bars but you beat me to it! 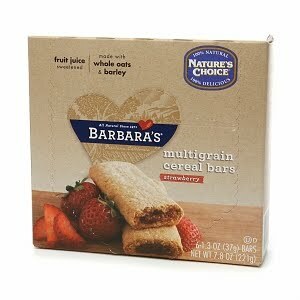 I used to eat nutrigrain bars every day when I was at school & I wish we could get that vegan version here. I too was hooked on the Barbara's Cherry cereal bars but unfortunately they have been discontinued.